So, you can't have a US highway and interstate in the same state. How about when the same number touches? When they moved US-10 in Minnesota to the new alignment, the old one was named county 10. I'm sure that confuses no one. 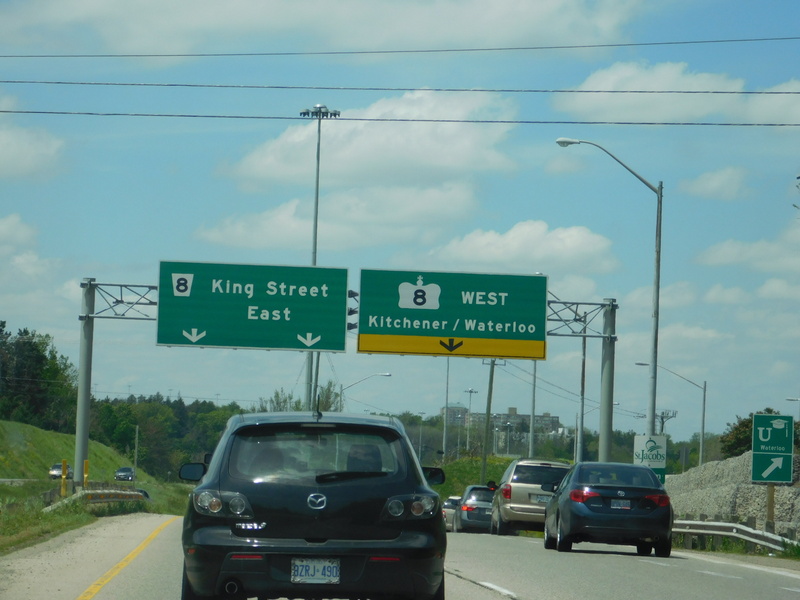 There's also King's Highway 24 and Norfolk CR 24 north of Simcoe, ON, where the CR is the old alignment of the highway. So, you can't have a US highway and interstate in the same state. . . . Except it happens. US 69 awaits I-69 in Lufkin . . . .
Also the idiotic I-74 monstrosity and US 74 in, of course, NC. And I-41 and US 41 in WI. Also, WY 89 and US 89 come really close. In DE, Concord Pike at I-95 is US 202 north of the interchange & DE 202 south of the interchange. US 3 & MA 3 meet in Cambridge (at Mass Ave./MA 2A). I-283 & PA 283 interchange w/each other near the PA Turnpike (I-76). When they moved US-10 in Minnesota to the new alignment, the old one was named county 10. I'm sure that confuses no one. It's generally a mistake one makes only once (if at all) because the traffic on county road 10/old highway 10 can be atrocious. Many cases in NY State: I-787 and NY 787, I-390 and NY 390, I-590 and NY 590, I-690 and NY 690, I-890 and NY 890, I-495 and NY 495, I-481 and NY 481. !-794 and WI 794 in Milwaukee. 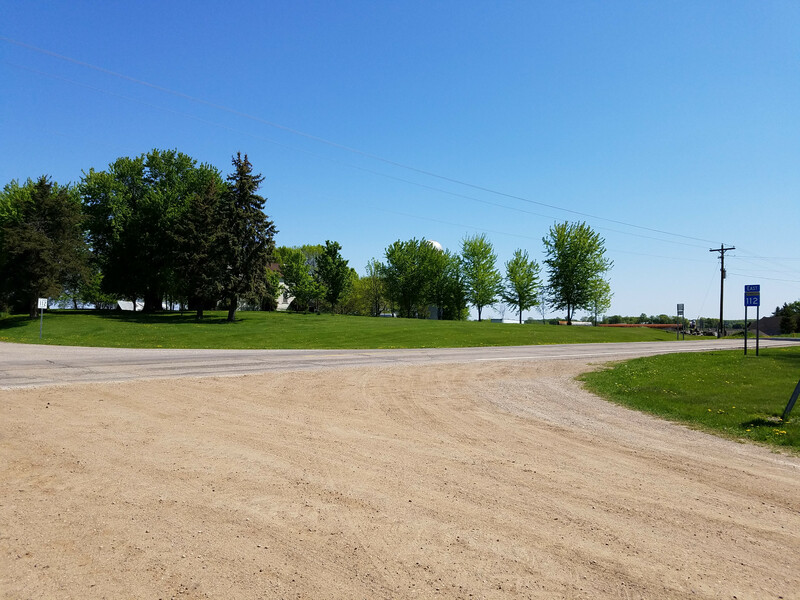 At this intersection: https://goo.gl/eV8bpr County route 657 (https://goo.gl/HxtmHQ) meets county route 657 (https://goo.gl/nu8Uze). Same county even. There is a third CR 657 that does not cross either of these in the same county too. MN 65 and US 65 used to intersect in Minneapolis where they changed over, though US 65 has now long been truncated. -MN 61 and Lake/St. Louis County 61, the old alignment of 61 between Duluth and Two Harbors. MnDOT seems to be toning this one down a bit as they apparently removed the physical "JCT COUNTY 61" markers from MN 61. -I-35 and Freeborn County 35 in Geneva, MN. -MN 45 and Carlton County 45 in Cloquet. US 36 intersects CO 36 (an old routing of US 36/40/287) in Byers. I believe there is also a CO 40 in that area, but it doesn't show up on Wikipedia. Well, it is right there, at least - turn onto GA 20 here (in either direction) and follow it far enough, and the signs will eventually start saying "WEST". But it's well away from I-20 by then. 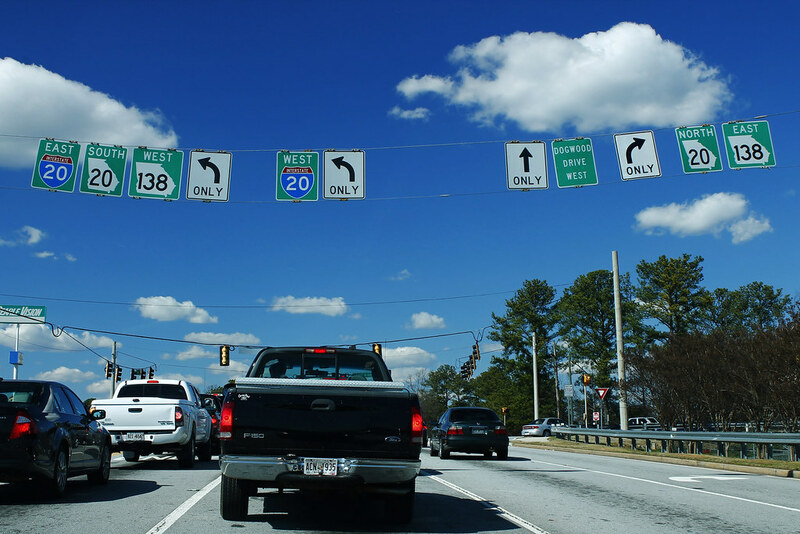 Several other examples in the Peach State: US 27 intersects GA 27, for instance. And perhaps best of all, the US 23/GA 23 concurrency in southeast Georgia. I was also going to suggest I-378 as a historical example, but I believe the non-freeway portion south of the Lehigh River wasn’t designated as PA 378 until the Interstate designation was removed. How about State Routes that share the same number across the State Lines? State Route 200 in ID/MT/ND/MN.